Jobsite safety responsibility continuing education course. Presenting lessons learned from litigation. Part 1 focuses on safety responsibilities of project owners and design firms, and addresses independent contractor principles. Combine parts 1, 2 and 3 for a 1 credit hour course registered with AIA. Once the project owner has executed a contact with its independent contractor, delegating jobsite safety responsibility to that firm, the owner generally has no legal liability for injury to the employees of the independent contractors – unless the owner asserts some control over the means, methods or procedures of the contractors’ work or takes some action at the project that causes or contributes to an injury. Job site safety and responsibility continuing education course – Part 2, by Kent Holland, presenting lessons learned from litigation. 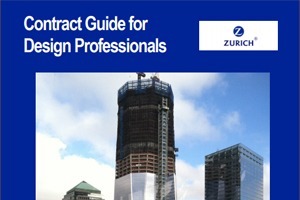 This part focuses on safety responsibilities of design professionals and construction managers. Combine parts 1, 2 and 3 for a one credit hour course registered with AIA. Includes managing safety of your own employees while avoiding responsibility for injuries to laborers of other parties that you don’t control.